Giraffes (Giraffa camelopardalis) are large herbivores, native to the savannahs of Africa. There is disagreement over exactly how many types of giraffe there are, with some recent papers suggesting as many as eight separate species. For the sake of simplicity, however, I am going to agree with the IUCN and Linnaeus and stick to one. There are however undoubtedly a large number of sub-species (probably nine) differentiated by their range and coat pattern. Large males can be nearly six metres high which makes them the tallest land animals alive today. Much of that height is in their neck, which is often well over two metres long. 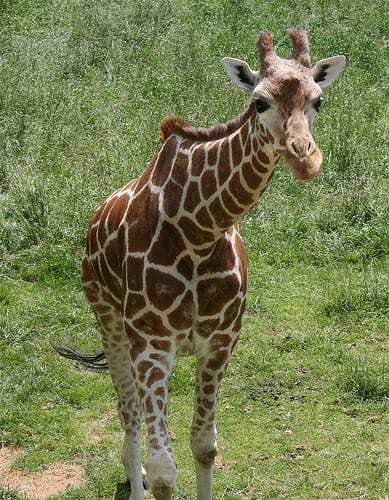 Interestingly giraffes and humans both have seven cervical vertebrae (neck bones), but giraffes’ are just much longer. This distance between heart and head, or more accurately heart and brain, presents a unique physiological challenge. To overcome this, giraffe’s hearts are big and muscly, with the thickness of the muscle directly related to the length of an individual’s neck. Their bulked-up hearts beat at a higher rate to force oxygenated blood around their entire body. They have a series of valves to prevent back-flow and maintain a blood pressure approximately double the average humans’. Another famous “fact” about giraffes is that they are totally silent. This is not true. Despite the enormous length of their trachea, giraffes do have perfectly functioning vocal chords which they use to produce audible deep hums and soft clicks. I have heard them myself. It is also assumed that, much like elephants, they do use other noises to communicate but they are too low for us to hear. The IUCN estimates that there are just under 100,000 giraffes left in the wild. Although declining, if this represents a disparate population of a single species then we don’t need to worry… yet. But, and this is where the species/ sub-species debate starts to matter, some of the suggested species when examined in isolation should certainly be considered critically endangered. 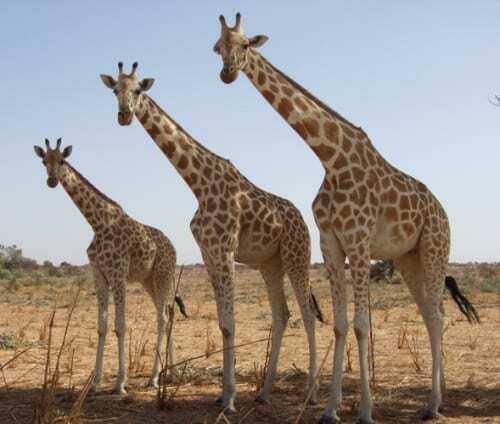 The population of the West African giraffe (Giraffa camelopardalis peralta), for example, is estimated at just 550.